Archiving this DIY activity 2 years after the beginning of the project which is still running..
We thought of creating a colouring/drawing/painting space when we realized that the then-16-month-old-Anouk likes to do her painting activities with partners(read, parents) and not much by herself. We introduced colouring crayons and colouring books to her when she was 15 months old and she did not appear very keen to sit by herself and well, colour J So we thought about creating a colouring space in the wall, big enough so that no one feels too cramped about hovering over a colouring book. The store room door looked perfect and we simply pasted a big white Mahjong paper (each sized ~58cm X 58cm). It really made the drawing/ colouring sessions so fun.. We never had these sessions on a daily basis, still there will be so much strokes/ drawing over it, that we had to change to a clean sheet every 2-3 weeks..
Cellotape - to paste the paper to the door. 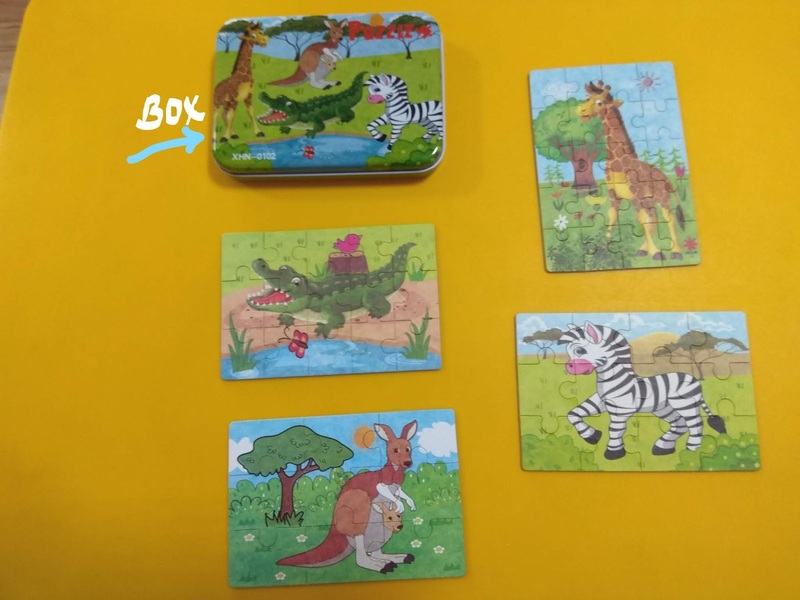 Evolution : We started this activity in July'16 when Anouk was 16 months old. Anouk started with simple irregular and random strokes(?). There were coloured endless suns, moons, babies, tigers, cats, dogs, birds, houses, balloons, her parents and what not.. which all looked.. the same J This was an easy platform for us to teach her standing lines, sleeping lines, circles, curves, shapes as we would draw once and if she is interested she would eagerly try to repeat or would simply ask us to draw again by ourselves J We used to scribble enough to replace the sheet every 2-3 weeks, though there were times, we'll forget to do any of these sessions for weeks at a stretch. 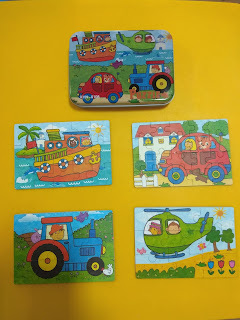 At the time when she was around 2.5 years, we added water colouring to these sessions. This seriously elevated the fun part in the colouring activity.. It still makes for a great indoor activity for us. 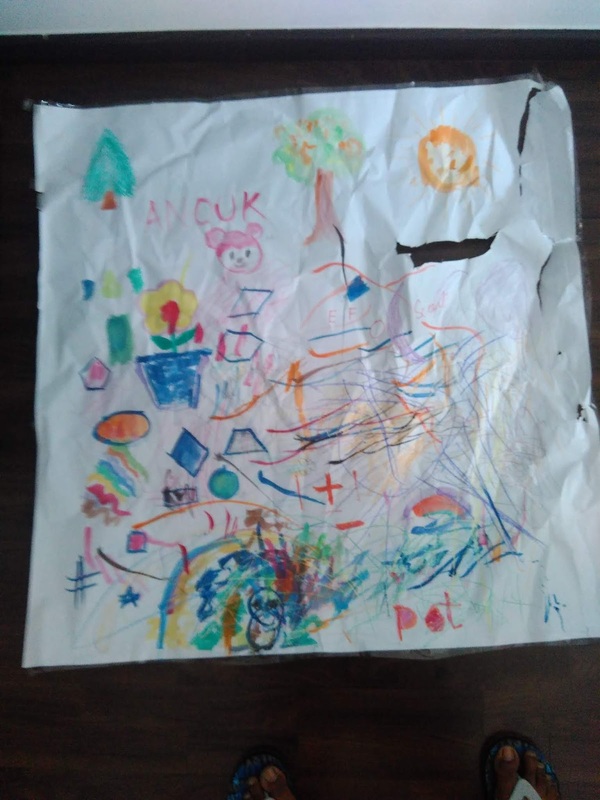 Progress : From our experience, we liked colouring on the wall-pasted-paper (with its pseudo-easel feeling), a better activity than colouring on books (at this age), as it was easier for us to join her in the activity. 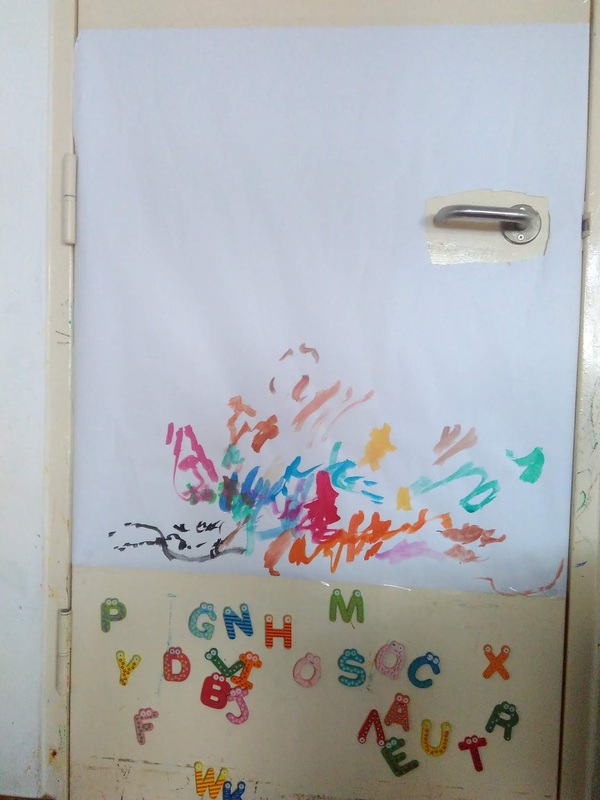 Over time she mastered her standing lines and sleeping lines decently enough to write alphabets E,F,H,I,L,O,T etc quite fluently before her 3rd birthday. 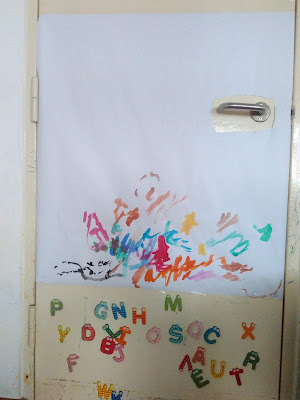 We later purchased a white board, where she continued her alphabet writing practices, but still continues to carry on her painting fun in this wall-paper corner. 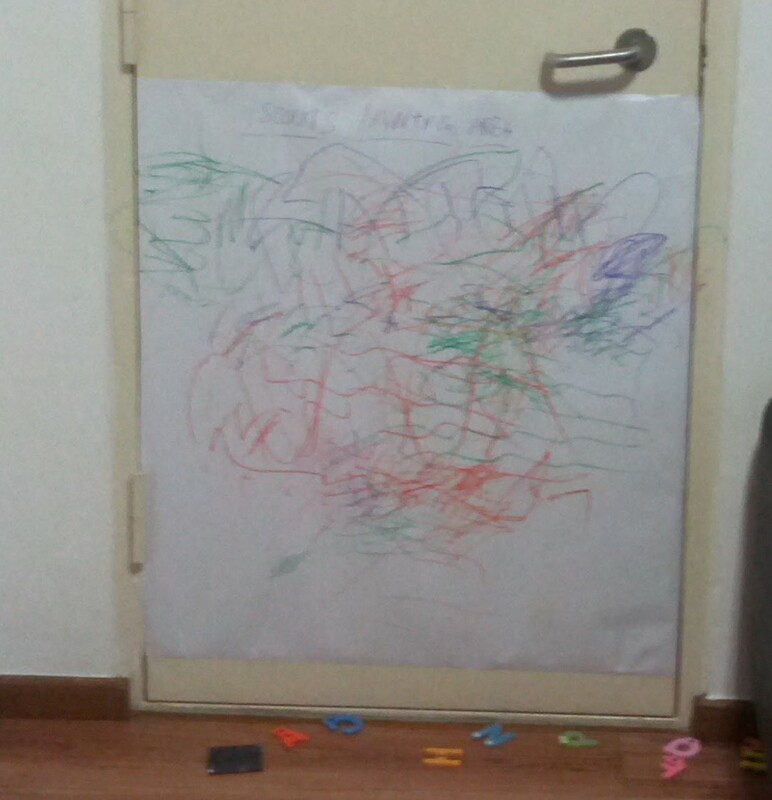 On the parents side, we found that this activity (involuntarily) gave her the idea that any colouring has to be done in this corner and she has thankfully spared the living room white walls from her colouring pencils, crayons and water colours. From once quite-disinterested with colouring books (the notion of colouring within boundaries did not gel with her J), now at 3 years 3 months, she is showing interest in colouring books where she is trying to stick to colouring within boundaries. We still keep up this activity and just dawned on me to archive this as a good DIY idea for colouring corner. Sample artwork - Timeline July'16, when Anouk was 17 months old. Recorded on April 5, 2018.